To suggest additions, please email Joshua Klingbeil at it.director@wvls.org. Contact the WVLS Tech Team at help@librarieswin.org. Check to see if internet services are down or if connectivity to Sierra is disrupted. Frequently Asked Questions, Sierra, Deep Freeze and Faronics Installation Guides, Computer Purchasing Guide, and more! View your library’s WIFI statistics. Daily, Weekly, Monthly, Yearly report options. Computer counts are based on previous year and are for reference. A request for computer count validation goes out each year prior to invoicing. Lean WI is the partnership between WVLS and Indianhead Federated Library Service (IFLS). WVLS and IFLS tech teams have combined their teams’ expertise to provide an excellent service package know as LibrariesWIN. LibrariesWIN services are provided at no extra cost above via member dues. See the LeanWI Service Chart for more information. Technology planning and consultation, including budget planning, is a valuable part of your library’s Library System Membership Benefits. Please contact help@librarieswin.org with any questions related to services or budget planning. The WVLS Technology Team gathered feedback from WVLS member libraries on technology support services to develop a plan for services and technology training in the future. This strategy guide is intended to be a multi-purpose reference. It supports the annually updated Wisconsin Valley Library Service system plan, prescribing mechanisms to meet the goals expressed in that document which imply or expressly demand the need for information technology support. It is also a guide for Information Technology department members, presenting a clear picture of the system’s immediate and long term goals and identifying the means by which to achieve them. Subscribe to receive automatic email and text updates on the LibrariesWIN Services Status Page. Stay up-to-date as issues arise with automatic email updates as problems are diagnosed, monitored, and resolved. There are two options for mobile hot spot services. Mobile Beacon vs. Sprint services. 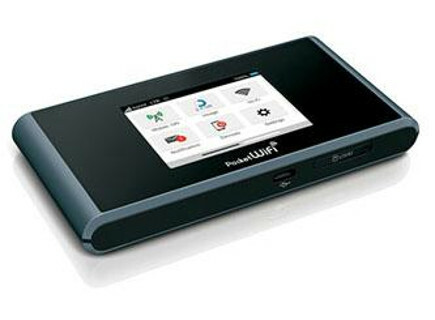 WVLS and Indianhead Federated Library System (IFLS) have three Sprint Moble Hot Spots availabe for your library to test in your community. Interested? Contact the Technology Support Services team by emailing help@librarieswin.org.